Illustrated on page 33 of the “The Kwan Chin exhibition catalogue published by KLAS in 2015. Born Goh Yee, Kwan Chin was born in Kepong, Kuala Lumpur. He attended Nan Yang Academy of Fine Art in Singapore, where he learned using traditional media including charcoal, watercolour and oils. A stint as a commercial artist in an advertising firm followed, but a brief introduction to batiks sparked his interest and he quickly turned to batik art, which he became famous for. 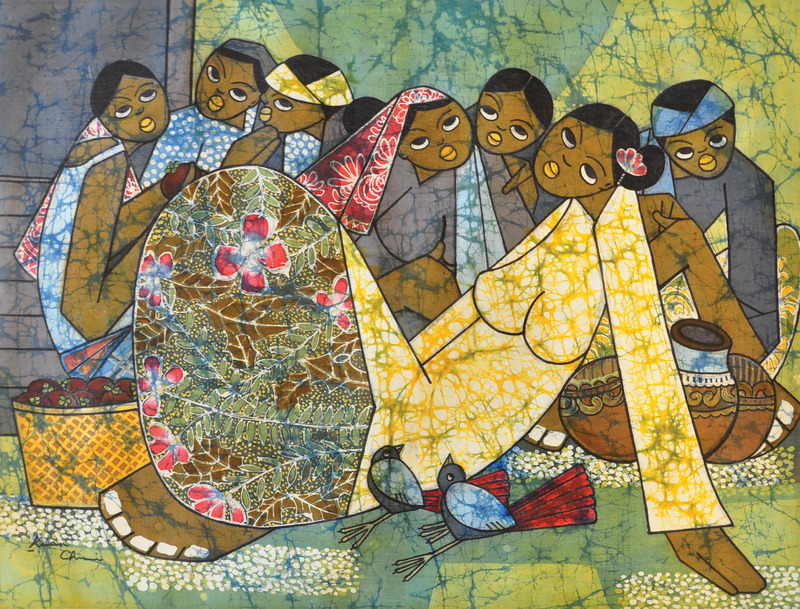 Vividly-coloured batik paintings were his specialty, collectors all over the world tend to have a copy of Kwan Chin’s works of art, which mainly depict scenes of Malaysian life.